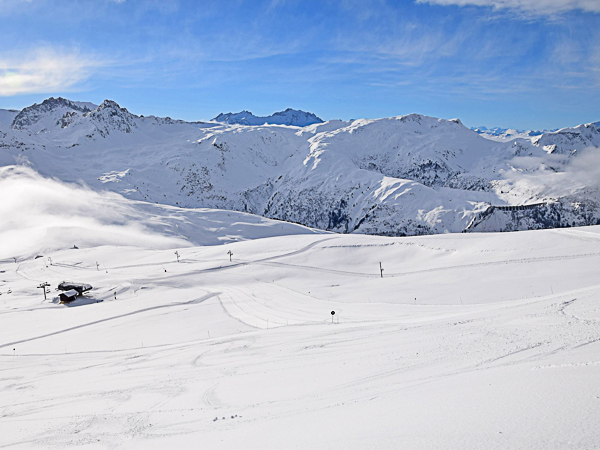 Les Contamines-Montjoie – to give the resort its proper name – is a quiet, traditional mountain village nestled right at the base of Mont Blanc, with a super ski domain easily accessed from the village, and with an impressive snow record. 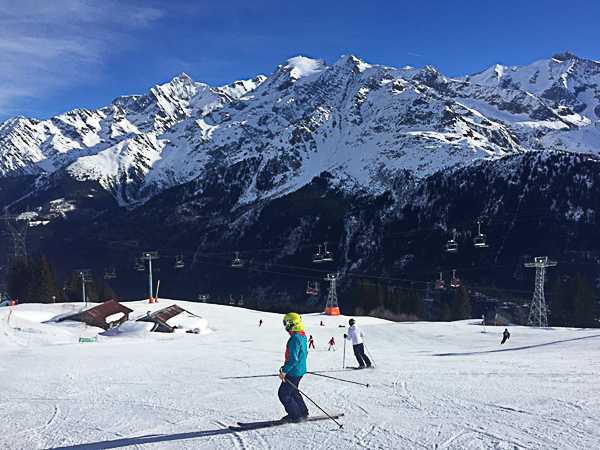 Somewhat of an Alpine secret, those in the know love the snow conditions, quiet slopes and off-piste runs. So much so, that mountain guides from Chamonix often come to ski here for a more authentic alternative! The relatively undiscovered, traditional village lies in a quiet end-of-valley location, only 1hr 10 mins from Geneva airport. The old village centre is small and compact, yet accesses 120km of great skiing between 1100m and 2500m. 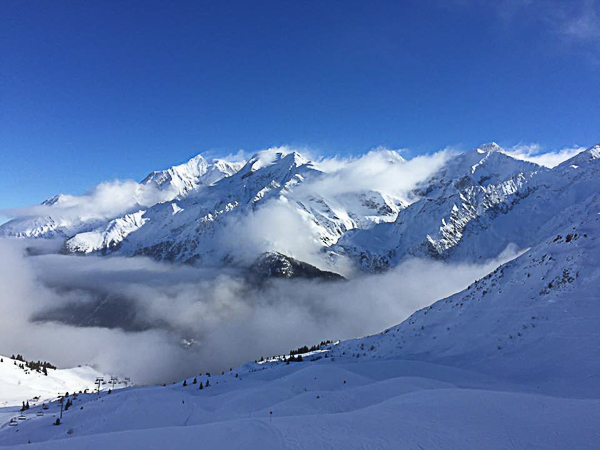 Snow conditions are very reliable given its proximity to Mont Blanc, making this area a great choice for an accessible short ski break anytime between mid-December and April. Les Contamines, a small village in the Haute-Savoie, has been largely untouched by the UK ski scene, despite easy access to it from Geneva and its reliable snow record. It lies at the head of a valley at the base of Mont Blanc, with very impressive scenery. This appealingly authentic village has been welcoming visitors since the early 1900s, and retains its traditional ‘chalet’ feel. Les Contamines will appeal to the confident skier looking for a ‘back to nature’ mountain environment, with a dramatic setting, for their short break ski experience. If you have any questions about skiing or snowboarding in Les Contamines or any other aspect of a short ski break in the French Alps, we have 15 years of local knowledge to share and are here to provide all the information you need. 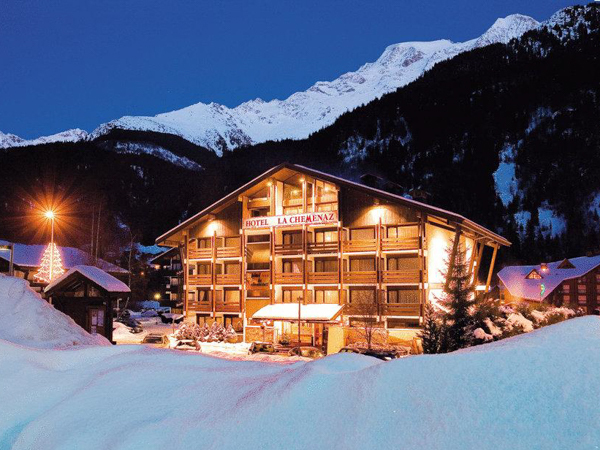 Located just 50m from the ski lifts giving easy access to the vast skiable area of Contamines-Hauteluce – La Chemenaz offers you spacious, prestige 4-star hotel accommodation with a real emphasis on service. You’ll love the open space of the bar and dining room – complete with feature open fire. Looking for a Ski Holiday in Les Contamines-Montjoie?